A portmanteau of Oxford and Cambridge universities, ‘Oxbridge’ refers to both institutions and their shared policies and statuses. So why isn’t their student intake as diverse as its critics believe it should be? It’s no secret that Oxbridge are highly selective in terms of which students they take onboard. No one is accepted on a whim. There are numerous hurdles that Oxbridge hopefuls must overcome throughout their application; entry exams, multiple interviews and more. It’s a necessary competition designed to find only the most capable of the academic elite. Potential candidates have to be at their best, then, but the conduction of the selection process must be just as impeccable. That means Oxbridge universities are also likely to have some of the most thorough and analytical admissions teams in the world. Mistakes are not commonplace with them. Supposedly, the admissions system of Oxbridge is designed to only select people based on merit and raw talent. If a candidate has less than AAA at A Level, then their application isn’t considered to be a competitive one at all. Moreover, the Oxbridge interviews narrow down the course of selection even further. During this phase, subject-specific conundrums are presented that not only discern if the candidate can attain the right answer, but also measure how they thought about the problems and solved them. Oxbridge interviewers want to analyse how their interviewees think and investigate. It’s rigorous, but also fun if the candidate enjoys being challenged. Further discussions around hobbies and personal interests may also take place. Despite these inescapable facts about the Oxbridge intake, one criticism continually resurfaces; that Oxbridge primarily recruits rich, white students. Students from disadvantaged backgrounds largely get filtered out before or during the application process. They can do all the hard work and get the grades, but still it is widely believed that they’re refused a place based on something other than their academic performance. Is this because they flounder at the interview stage, or is there some kind of ulterior motive from the institutions themselves? 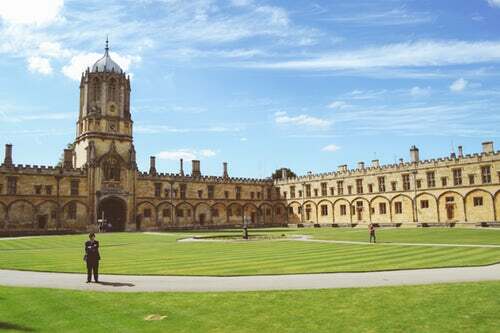 Last December, it was discovered that Oxbridge purposely over-recruited from eight of the top schools in the UK. This is no accident, as there are no targeted recruitment strategies more refined than those of Oxbridge admissions teams. The usual suspects are listed, such as Eton College, Magdalen College and Kings College School to name a few. All these institutions are situated in expected areas such as London, Oxford, Berkshire and Hampshire, places that have become associated with wealth and excellence. Both are things to be proud of, but when they’re only afforded to the same strands of people, injustice and inequality can only occur thereafter. Of course, if you’re an institution that wants to recruit the best of the best, naturally your first port of call would be to take in students from the most prestigious schools and colleges in the country. No one is suggesting that these schools should be blacklisted. Instead, it’s important for Oxbridge to better heed the calls for diversity in their student pool. There are talented young scholars at many state schools across the nation, and indeed from overseas too. It’s time such people were represented in Oxbridge’s student body in fairer numbers. None of those eight favoured schools are in Yorkshire, or other parts of the UK; they’re all located in southern England. Oxbridge has issued many public statements broadcasting that they’re aware of their diversity issues, but little seems to be done in practically rectifying this imbalance. Indeed, as recently as the end of 2017 Oxbridge were reported to have become even less diverse than was previously recorded, with the richest in the UK gaining 80% of their overall offers. It is a case of Oxbridge saying one thing, and then, sadly, doing another. Ultimately, it’s time for Oxbridge to recognise that the best students in the world can come from anywhere. Brilliance should never be pigeonholed, so a sharp U-turn in their diversity efforts must take place at the earliest opportunity.